Taking ahead measures for close monitoring of the National Register of Citizens, the Supreme Court today asked the Assam NRC coordinator to file in a sealed cover the data of district-wise percentage of the population excluded from the NRC draft in the state. "The State Coordinator, Shri Prateek Hajela, is directed to make available copies of the final draft NRC in all Panchayat offices and such other places so as to make access to the draft NRC freely available. The State Coordinator is also directed to file in Court, in a sealed cover, the percentage of the population in each district (district-wise) who have been left out of the final draft NRC". 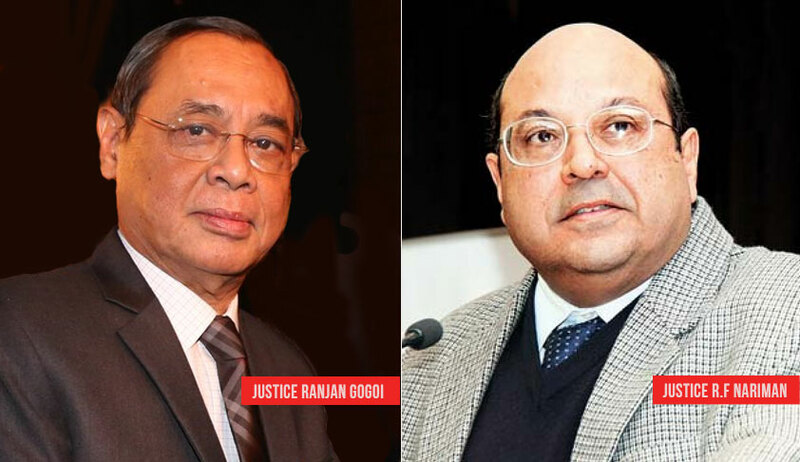 A bench of justices Ranjan Gogoi and R F Nariman also sought the views of stakeholders including the All Assam Students Union (AASU), All Assam Minority Students Union (AAMSU) and Jamiat Ulema-i-Hind, on the modalities and Standard Operating Procedures for filing and disposal of claims and objections regarding the National Register of Citizens (NRC). Significantly the bench decided not to seek the views of any political party in this regard. On July 31 the bench had observed that the NRC prepared for the State of Assam was only a draft, and hence the same cannot be basis of any action by any authority. “In this regard the Court would like to observe that what has been published is only the Complete Draft NRC which naturally being a draft cannot be the basis of any action by any authority.”, the bench had observed. The Court had passed the order in the wake of concerns being raised about the exclusion of approximately forty lakh persons from the final draft list of NRC published on Monday. Besides AASU, AAMSU and the Jamat, the court today sought views of stakeholders which include petitioners Assam Public Works, Assam Sanmilita Mahasangha (an indigenous peoples organisation of Assam), National Democratic Front of Bodoland (Progressive), Indigenous Tribal Peoples Federation, All Assam Bhojpuri Parishad and the Joint Action Committee for Bengali Refugees. "We have read and considered the standard operating procedure filed before the Court. At this stage without commenting on any of the modalities suggested on behalf of the Union of India in consultation with the Government of Assam, Registrar General of India and State Coordinator for NRC, we are of the view that the stake-holders ought to be given time until 25th August, 2018 to indicate their views in the matter"
The bench said the date for receipt of claims and objections from the public on NRC, should be August 30. The court said that as per the rules, the period for receipt of claims and objections should be 30 days. It said that further dates given in the Centre's SOP drafted in consultation with the Registrar General of India and state NRC coordinator will be deliberated at a later stage after getting the views of stakeholders. Additional Solicitor General Tushar Mehta, appearing for Assam, said that for the convenience of people, the copy of the draft NRC should be made available at panchayat offices in every village and all the deputy commissioners' offices.